Don't Forget to Vote! ⋆ Employment Resources, Inc.
Blog Don't Forget to Vote! Not entirely sure what’s on the ballot and where to vote? You can learn by visiting the My Vote Wisconsin website. A full list of acceptable IDs is available at www.BringIt.Wisconsin.gov. If you act quickly, you may still have time to get a free one at the Department of Motor Vehicles. Remember, the name and address on your photo ID doesn’t have to match what’s on the poll book. You can update your information at the polls if necessary. You can register to vote for the first time or update your registration with a change of name or address at the polls on Election Day. Before Election Day, you must have lived at your current address for at least 10 days to be eligible to vote, but your proof of residence document does not need to be 10 days old. The Wisconsin Elections Commission provides a complete list of acceptable proof of residence documents. These documents can be on paper or an electronic device like a smartphone or tablet. If you’re not sure if your registration is current, you can check your status with your municipal clerk or on the state’s MyVote Wisconsin website. If you had an absentee ballot mailed to you, your municipal clerk’s office must receive it by Election Day (February 20, 2018). 5. What if you forget your ID? If you left your photo ID at home you can simply retrieve it and then go back to cast a ballot. Or, you can cast a provisional ballot. 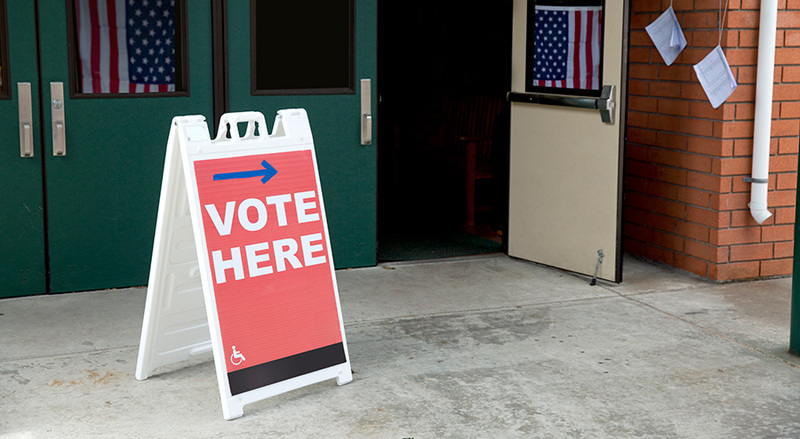 A provisional ballot is just like a regular ballot, except that it is placed in a special envelope and is not counted unless the voter returns with an acceptable photo ID. The deadlines for fixing a provisional ballot are 8 p.m. on Election Day at the polling place or by 4 p.m. on the Friday after the election in the municipal clerk’s office. Don’t wear political clothing or paraphernalia to the polling place on Election Day. The chief election inspector could ask you to leave the polling place if you are judged to be electioneering or creating a disturbance. Visit My Vote Wisconsin for more information about voting in Wisconsin.